I was recommended the Mirai by a couple of people already and my colleagues surprised me and took me there. Well, I must say that it is definitely a place worth visiting. 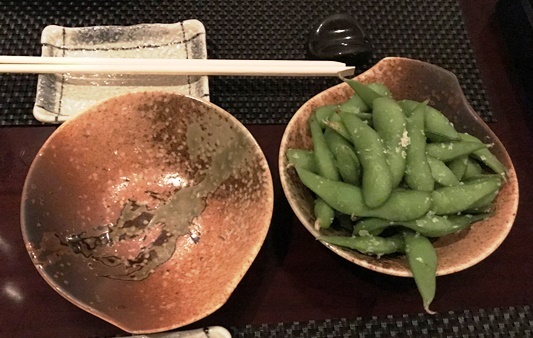 I went for the “Edamame with sea salt” (2.500 BHD) as a starter which were – well, edamame. Good but definitely nothing extraordinary. Th “Hamachi Tartare with wasabi citrus” (8.000 BHD) was delicious. I think I haven’t tried ‘hamachi’ before and it was absolutely mouth-watering. So, if you make it to Mirai, you should definitely try the hamachi tartare. The “Angus Shotoribu” (18.000 BHD) was recommended to me by the waitress instead of the regular beef and I must say that the angus solution was absolutely delicious. The meat was super tender, smooth just like butter – and aromatic as it should be. The place itself is nice but is a bit sterile which is though compensated for by the friendliness and attentiveness of the waitresses. 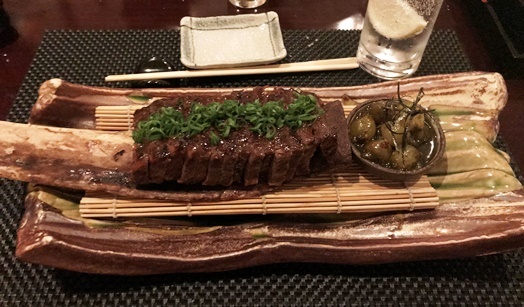 Overall, the Mirai is definitely on the more expensive side in Manama but definitely worth a visit as the food is good, the service is friendly and attentive and the atmosphere is decent. As the place was quite crowded on a Tuesday evening, just make sure to book a table in advance. 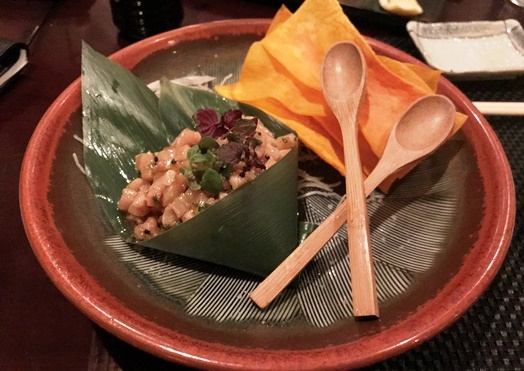 1 Comment on "Nice Japanese food experience: Restaurant Mirai (21. November 2017)"
Thank you for sharing your experience at Mirai Restaurant and Lounge. We appreciate the feedback and look forward to have you dine in with us again and try more dishes you’ve never had before.